In 1995, the Rolling Stones embarked on a unique set of performances that saw the band playing a number of venues they had long outgrown. 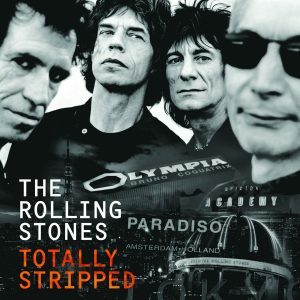 This version of Totally Stripped, a single CD and DVD combo package that is just one of a few iterations available, gives you a bird’s eye view into some of those intimate shows, combined with Japanese studio session footage including rehearsals, interviews and live performances of classic tracks including “Honky Tonk Women,” “Dead Flowers,” “Gimme Shelter,” “Let It Bleed,” and “Love In Vain” among others. The Stones might have intentionally avoided stadiums with this collection, but the performances are as energetic and captivating as if they were in front of 30,000 people each night.